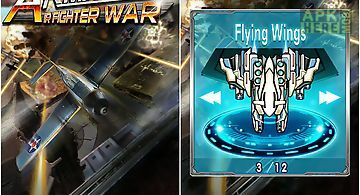 Air fighter war game for android description: This is an android platform 2d barrage game you will be driving on earth lightning advanced fighters andother armed enemy in combat scenarios. Thunder fighter version of the classic strikes! Hd games all usehigh resolution images the rhythm of the game exciting and high picture frames 40fps also ensures smoothgaming experience. 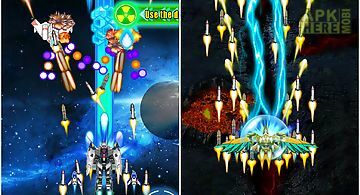 The game has more than 30 kinds of cool styling enemy more than 40 different shapesbarrage you need to have superb people skills to complete the challenge of course the game 39 s actionfeel it has been carefully designed to ensure that you can easily meet these difficult challenges. Blowstrong sense of sound and dynamic soundtrack plus high definition picture quality the show is bound togive you a magnificent aerial world. 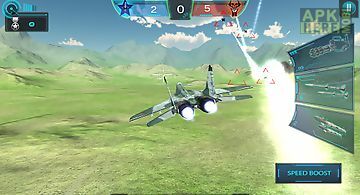 Features: - 6 exciting scenes- the new achievement system- 40 kinds of gorgeous barrage- 40 kinds of enemy models- weapon upgrade system prop system- feeling super hit sound electronic rock soundtrack- land sea and air three types of enemies tanks combat vehicles aircraft aircraft- 6 cool boss have intelligent ai- two kinds of operation: touch and gravity sensing10. Support app2sd can be installed directly to the sd card if you like our game please give us a five star rating thanks! Rule on sky excelling in airstrike art of combat. Outrage of war is still in the air afflicting sea land and air mount. Fight for the glory! Leading as an .. 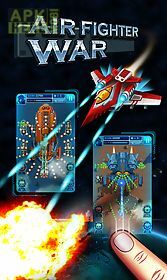 Fly an ultra modern battle plane with powerful weapons. Destroy ground and air targets. 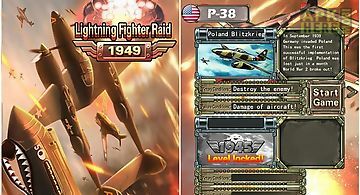 Fly over jungle ocean city streets and other locations of this andr..
Control a legendary fighter of world war ii era and take part in large scale dogfights. 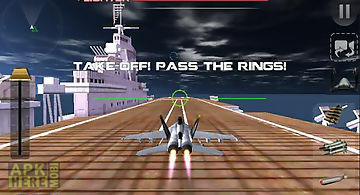 Become an ace pilot in this exciting game for android. 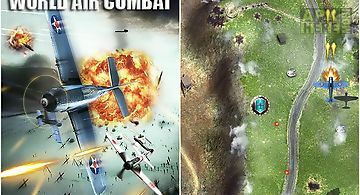 Take part in..
Control a fast fighting aircraft of the times of the world war ii. 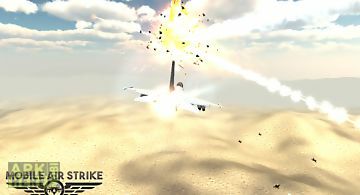 Participate in air battles flying above various locations. 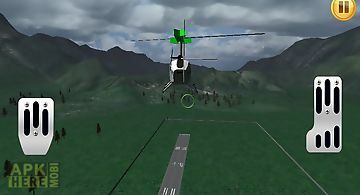 Become an ace in this android..
Have you ever dreamed of driving a helicopter and having a birds eye view of the world? 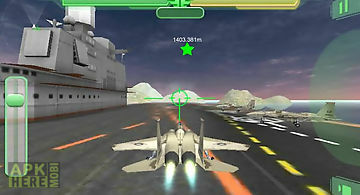 Now it s possible try our air fighter jet 3d a new cool flight simu.. Brutal alien race have attacked the earth your job is to simply destroy all the alien space ships in theearths atmosphere. So get yourself engage in the ul.. 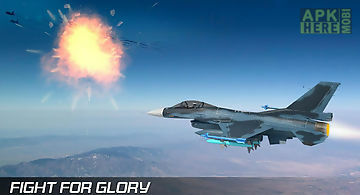 The best air force attack game in the sky! Super cool explosive effect!! Fluent graphics as perfect as arcade game!! Various models and innovative systems ..
battle it out in the skies for total air control! 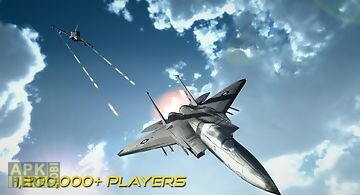 Fly a fighter jet against the best in the world shoot down enemy jets and defend the nation for freedom!.. 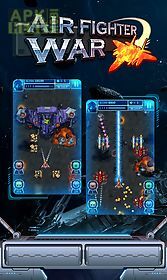 intense yourself into fast paced air to air and air to ground combat as most advanced military fighter jets of american russian and german aviation histor..
battle for control of the skies with mobile air strike fighter jet! 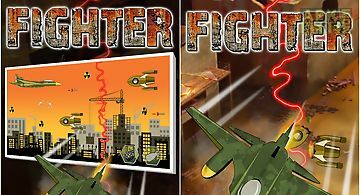 Conquer the enemy by shooting down their fighter jets and be the hero of the day while.. 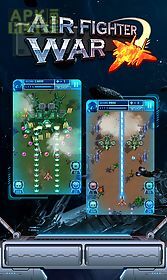 This is a very awesome and addictive action adventure air fight war games for the hardest toughest people who love destruction and action games world. Beco..